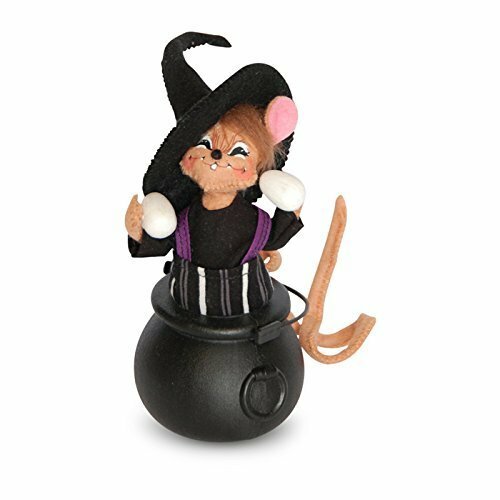 This 5 inch amber mouse just popped out of the cauldron with eggs ready for the attack! It is wearing a witches hat along with a black shirt as well as white and black stripped pants. Great item to decorate with and share some Halloween antics!